Hand-held Colorimeter SR3510 is we years of painstaking development of the high-precision colorimeter, serially developed according to the measuring requirements on different products and gain many optimal achievements with high cost performance. The most convenient colorimeter: automatic correction when starting up (national patent). Environmental, low energy consumption instrument, high capacity lithium battery. Comfortable observation with real color screen display. SR3518 includes 3 switchable calibers (4mm/8mm/40mm) this version is a specially designed, high performance precision colorimeter, caliber 4mm can apply on small area, cambered and other special surface, caliber 8mm is a universal type for many field, also caliber 16mm can be used for huge, texture and pitting surface. 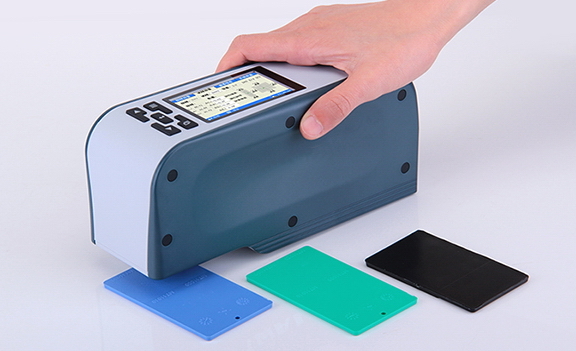 It can bring great convenience for the user in the color quality detection on all kinds of measuring material. 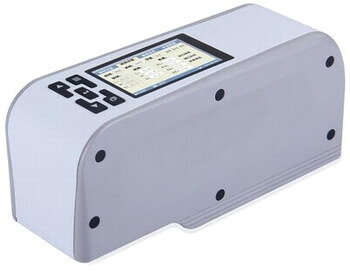 The SR3108 is developed according to international CIE1931, 1976 and other relevant standards and national standards, it is a new economic and practical general colorimeter, we introduce the latest imported LED light source and sensor from other countries, and it has stable, durable, the characteristics of the economy. The interface we design the menu type, because it is simple and easy to understand. Our SR3108 is not only widely used on Quality department about the color difference, but also used on the school teaching, scientific research, and color design. * Button & menu operation, easy to understand, reasonable price. * Commonly used of two measurement modes: Lab&Lch, easy to switch measurement. * Automatically display the color difference between the sample and standard sample, also display the color trend degree. * The color difference software can analysis, exchange the color difference graph and data. 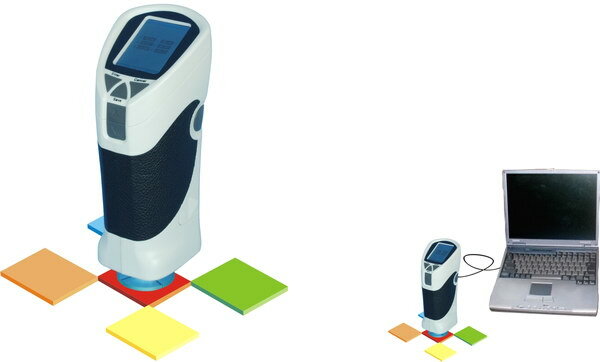 * The optional Micro-printer can output the color difference data in time. Standard Accessories: Bag, Protection cap, Software, AC adapter, USB cable, Instrument, Hard case. * Three languages to switch, buttons and menus operation are easy to control. * A variety of light and color space modes meet special needs of different measurement conditions. * Two calibrations: white calibration and zero calibration, the measurement data are more accurate and stable. * 1500 sets of data storage space, can check, callout, upload the data at any time. * Professional color quality software would assist the color analysis and quality control. * Professional streamline design which will better suit the body mechanics, it also makes the instrument look more high-end and easier to operate. * We are the first supplier who adopts the small- large caliber measurement shift switch in China which will make the measurement data with different caliber more advanced. * Comply with the international general color detection standard which will fulfill the demand of different industries. * The latest design with small-caliber can measure not only even smaller appearance but also arc-shaped appearance, which has solved the problem that other domestic instruments can not measure the irregular appearance. * 3200mAh Li-battery with large capacity ensures more convenient and reliable operation for long time measurement. * Adopting Germany high sensitivity sensor and light source with high diffuse reflection coating integrating sphere structure above 96% ,which ensures more precise measurement data. * Auxiliary accessories can also measure the objection with large grain, powder and pulp. * Equipped computer software can realize more detailed color data communication. In 1931, the CIE (Commission International Ed I'eclairage) setup a series of visible spectrum color space standards. The Basic CIE color space standards is CIE_XYZ. lt is built on standard visual observers on the basis of ability to see, and it reflects the standards scope of color by eye. Based On CIE_XYZ there are CIE_XvY, CIE_Lab, CIE Lch standard color space, etc. At present, the CIE Lab color space is the most commonly used in the industry. In ClE Lab color space, L value stands for color brightness and a value stands for the Green-0n-red value. and b value stands for the blue―on―yellow color value. If determine a value of color by only a group Lab, it will be not practical. However, we can determine the differences among them by comparing two groups of Lab values. It can be connected with computer to do the inspection by software with USB expansion interface. ΔE stands for the total color difference. In 1931, the CIE (Commission International Ed I'eclairage) setup a series of visible spectrum color space standards. The Basic CIE color space standards is CIE_XYZ. lt is built on standard visual observer on the basis of ability to see, and it reflects the standards scope of color by eye. Based On CIE_XYZ there are CIE_XvY, CIE_Lab, CIE Lch standard color space, etc. The instrument is mainly applied to plastiC, painting, design, plating, costume, Printing and dyeing industries. It can do the Color analysis and Color controlling. 1, The 2.4"Width Colorful screen and portable design make you feel comfortable. 5, The optical mini printer fulfill the output of data. 4, Color space diagrammatic Sheet. 5, Color difference curve and color test report. 1. White calibration board: used for white calibration. 2. Black cavity: used for black calibration. 3. External power supply: AC power adapter, with 400mA rated current, 5V required voltage. 4. CD: It contains the PC software. 6. Cleaning wipe: For screen cleaning. 7 Micro printer (Optional accessories): Print the test result. 1. Display color values by Lab, XYZ, RGB, CIE_Lab, CIE_Lch, display the difference values of sample and tested item by ΔE, ΔL, Δa, Δb, Δc, Δh , browse Yxy color space figure and display Yellow and White values. 2. Humanism design, friendly graphical user interface. 3. 10000 test records storage, data storage structure: 100 samples, and 100 data groups for each sample. 5. Signs for low battery and full memory. 7. It can print the result by connecting with micro printer. 8. PC software for data analysis and management. Color Difference : Δ( L*a*b), Δ(L*C*H); Whiteness : Hunter Whiteness, Ganz Whiteness; Yellow : YI . The 2.4" width colorful screen and portable design. Three kinds of light sources for selection, SCI and SCE mode switch and metamerism analysis for different working status. Tolerance setting, humanization auto-judge color difference values and color deviation for judging the color easily. Professional color analysis software for doing the color data analysis and color difference diagrammatic outputting. 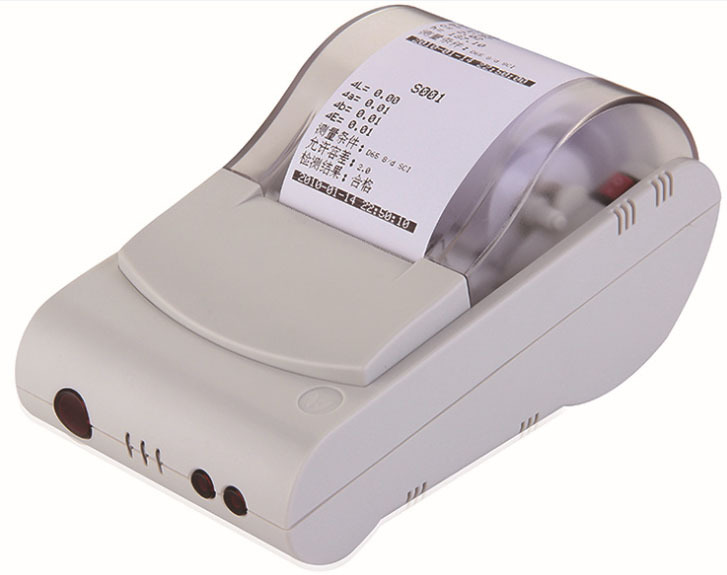 The optical mini printer fulfill the output of data. Can test various materials including powder. Since 1998, from import to domestic, SR3401 precision colorimeter is an iconic milestone in color test industry. The repeatability ΔE is 0.08. Illumination locating is a fast, simple and convenient locating which created by us. We has the intellectual property of PC software. The corresponding software serial number and password protection are configured in our colorimeter. We are the first enterprise using high capacity Li-ion battery in colorimeter. Our Li-ion battery can be repeatedly charged which will save cost. Meanwhile, it can measure more than 3000 times on one charge to ensure the stability of long time measurement. SR3403 is a mainstream brand colorimeter introduced by our company which has synthesized the advantages of ten more traditional imported colorimeters and has experienced ten thousands tests and applied many innovative technologies. Accurate, Stable, Exquisite and Affordable! SR3403 high-quality portable colorimeter has adopted multi-channel color sensors of international brands, more stable IC platform as well as efficient and accurate algorithms to provide users with accurate and fast color management and application. SR3403 is also designed with ergonomics and humanized operation and it has applied for a number of patents. 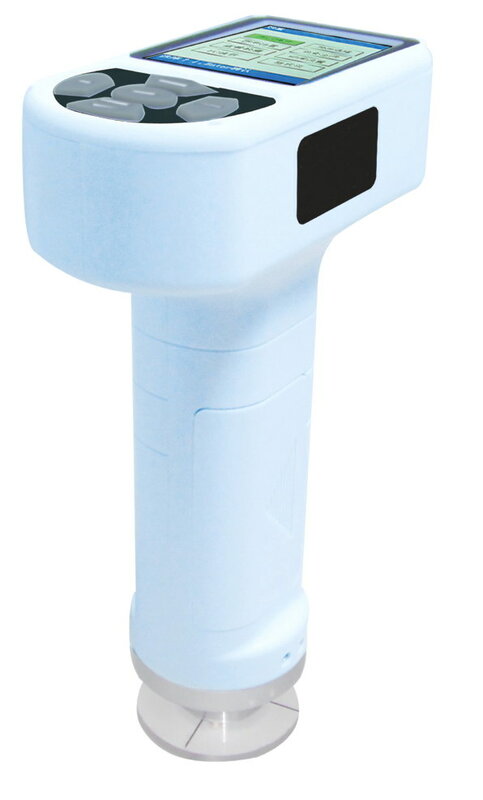 SR3403 is a multifunctional colorimeter with high quality and competitive price. We insists on independent research whose technology innovation is unique in color management field. SR3403 is the most convenient colorimeter for users. Auto White and Black Calibration at Startup. Structure Design in line with Ergonomics. The average fluctuation of ΔE is less than 0.07, actually more in 0.03~0.06. the instrument stable when using. Illumination locating is a fast, simple and convenient locating function which is the original function by us. We has the intellectual property of PC software. The corresponding software serial number and password protection are configured in our colorimeter. Be able to perform color difference analysis, color difference cumulative analysis, chromaticity index, color sample database management, simulating object color, etc. SR3404 is a mainstream brand colorimeter introduced by us which has synthesized the advantages of ten more traditional imported colorimeters and has experienced ten thousands tests and applied many innovative technologies. Accurate, Stable, Exquisite and Affordable! The average fluctuation of ΔE is less than 0.06, actually more in 0.03~0.06. Our R&D team concentrates on customer needs and develops series of high-cost and high-quality products. SR3405 is a precision colorimeter with 45°/0° viewing angle. Has strong functions which applied a number of differential innovative technologies. It can measure accurately in 45° illumination /0° receiving under the SCE mode. SR3528 colorimeter with competitive price, has these advantages of being easy to operate, easy to understand, affordable and so on. 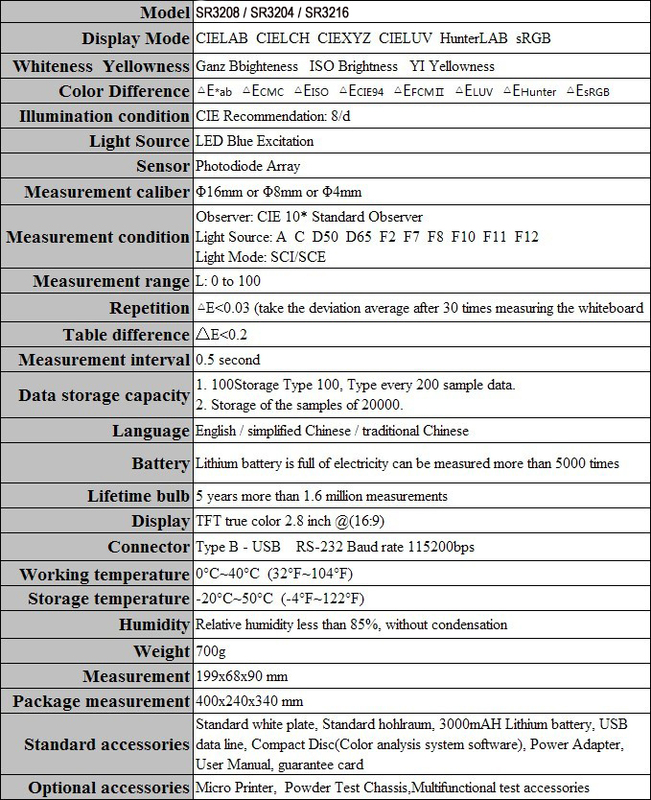 SR3528 only have one measuring light source (D65); two kinds of color modes (CIE1976LAB, CIELCH); one color difference formula (∆ E * ab); two language pattern (Simplified Chinese and English), and a universal measuring caliber (8MM) . WF28 colorimeter can store 100 standard data and 20000 sample data, you can also add mini-printers to do real-time printing measurement data. It can't operate with "color analysis system" software functions. 5. Large Data Storage: Saving more than10000 data. 6.More Function Expansion: Micro printer. Precision colorimeter SR3008, SR3004, SR3016 is based on the International Commission on Illumination CIE relevant standards, national standards developed and produced through the National Measurement SCM certified professional colorimeter. The colorimeter using the new import key components, carefully designed, with accuracy and stability, simple operation, easy to learn, affordable and so on. The colorimeter used in textile, printing and dyeing, clothing, footwear, leather, chemicals, plastics, plastics, pigments, paints, inks, printing, metal, photography, toys, etc. The color quality control, color control, color analysis, sample testing, production-line testing, is also suitable for injection molding, ink, paint, spraying auxiliary colors. SR3008 precision colorimeter 8mm caliber version is a universal colorimeter, considering all walks of life and general method of detecting the color to apply customary and considered a variety of materials in the measurement of the measurement aperture size requirements and developed. SR3008 precision colorimeter 8mm caliber version of its versatility and its own tiny difference between units, measurement stability for all sectors for the industry, cross-industry color exchange offer great convenience and trustworthy and reliability. SR3004 colorimeter 4mm diameter version is a specially designed, especially for a small area, arc and other special surface type measuring cost-effective precision colorimeter. In a small device, small parts, arc exceptional color quality of face detection to bring great convenience for the user. In particular, if the measured surface is wet, in order to protect the interior of the instrument is not contaminated, measurement, measurements should be chosen to protect the mouth with a glass plate measuring 16mm caliber colorimeter. Using large diameter measuring port measurement has the advantage that each measurement textured, such as pitting the surface of the test will be more consistent, which is difficult to achieve a small diameter measurement results. 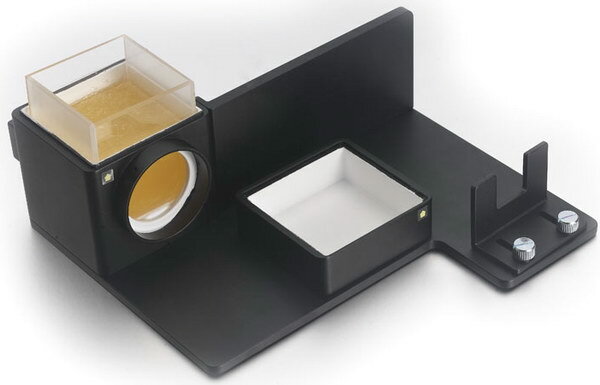 Multi-function test accessories including integral cavity, quartz cup and it is used for testing liquid, pulp and granular object. SR3208, SR3204, SR3216 more light, more color difference formula to meet customer demand for more measurements. High-end color difference meter SR3208, SR3204, SR3216 to fill the gaps in the field of color difference meter high repeat accuracy, repeatability of Δ<0.03. High-end color difference meter SR3208, SR3204, SR3216 with 8 standard light source, to fill gaps in the domestic color difference meter in the multiple light sources. High-end color difference meter SR3208, SR3204, SR3216 with 8 kinds of color difference formula, to fill the domestic blank color difference evaluation in various ways. 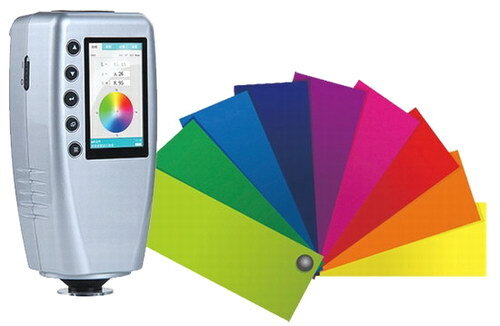 High-end color difference meter SR3208, SR3204, SR3216 the exclusive release color simulation function. 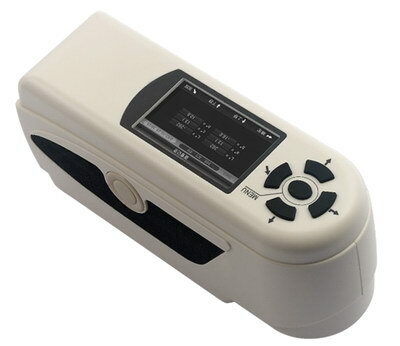 SR3208 precision colorimeter 8mm caliber version is a general-purpose color difference meter, considering the general method for detecting color and apply from all walks of life habit, and considering the requirements of measuring diameter size of various materials in measurement and developed. 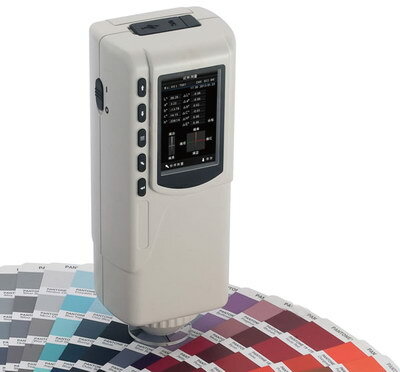 SR3208 precision colorimeter 8mm caliber version because of its versatility and its tiny difference, between the measurement stability, cross-industry color provides great convenience and reliable reliability for all walks of life, the industry. SR3204 color difference meter caliber 4mm version is a specially designed, high performance precision colorimeter is especially suitable for small area, such as the special surface measurement. In the color quality detection of small devices, small parts, special type of arc to bring great convenience for the user. Check the color difference between two samples. Can check all kinds colors if the color surface is not reflective. 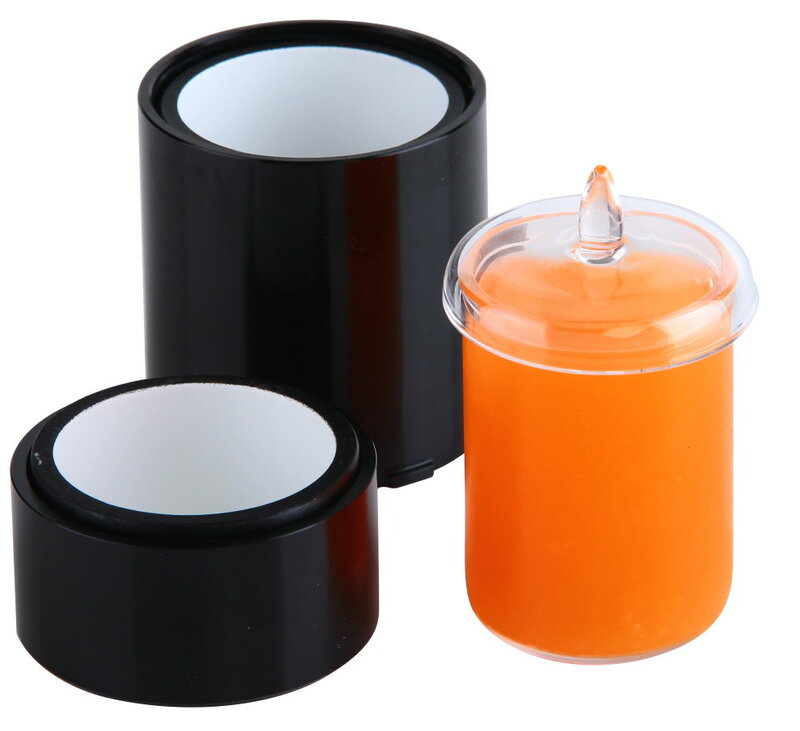 It is not suitable for testing surface color of vegetable and fruits, because their surface is reflective. Color space: (L*, a*, b*), (L*, C*ab, hab), (Y, x, y), (X, Y, Z) or (Rs, Gs, Bs). Standard deviation within ΔE*ab 0.5 (Measurement conditions : Average of measurements of standard white plate). Instruction manual, Battery, RS232 cable, software CD. 1. Utilize imported high-performance, long-life (100,000 hours), high-brightness light source with narrow-band filter system. 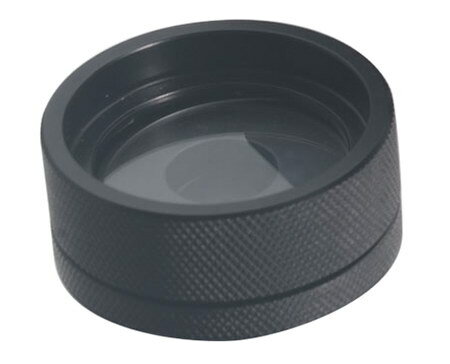 The optical stability is extremely strong, and it is not easily interfered by various kinds of light, so the instrument has high precision and good stability. 3. 10 standard curves and 199 measured values can be saved, and can not be lost if the power is off. 4. The mainframe casing adopts ABS material after molding, which has good corrosion resistance. 5. Using high-performance, low-power 16-bit microcontroller system, excellent performance. Main unit, power cord, 2 cuvettes, instruction manual, product certificate and warranty card. 3. 10 standard curves and 500 measured values can be saved, and can not be lost if the power is off. 4. The main machine casing is made of metal material and has good corrosion resistance. 6. With Printing and USB function. Main unit, power cord, 2 cuvettes, USB cable, software CD, instruction manual, product certificate and warranty card. 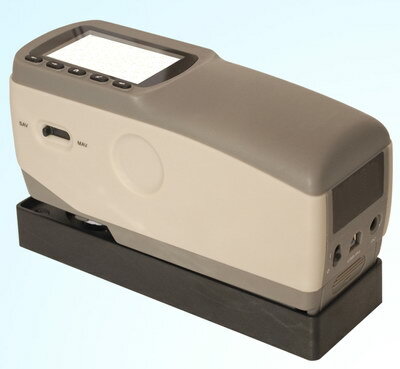 SR3480 spectrophotometer is developed by us with independent intellectual property rights. It features with stable performance, precise measurement and powerful functions in the leading position of the same industry. 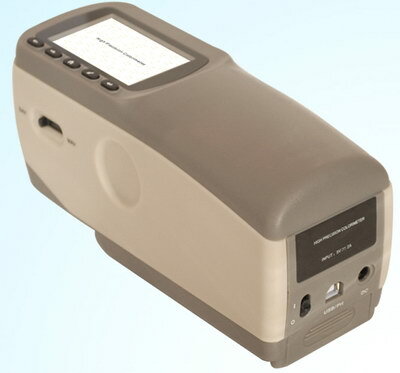 SR3480 spectrophotometer is widely used in plastic, electronic, paint, ink, textile, garment, printing and dyeing, food, medical, cosmetic, industries, scientific research institutes, schools and laboratories. 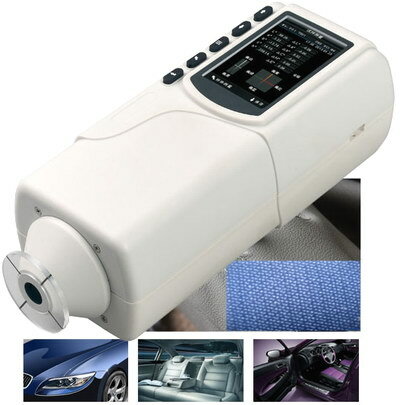 It can measure reflectance spectrum and other color index precisely. 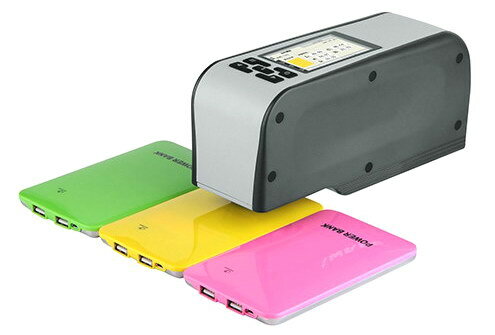 NS800 spectrophotometer not only can help to perform color matching and color management studies, but also can control product quality management accurately. The instrument is equipped with high-end color management software which can connect PC to achieve more extension functions. 45/0 method (45 ring-shaped illumination, vertical viewing) Comply with CIE No.15, GB/T 3978. 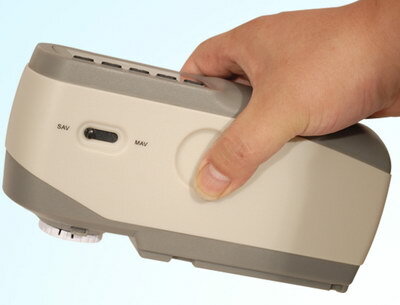 SR3481 spectrophotometer is developed by us with independent intellectual property rights. It features with stable performance, precise measurement and powerful functions in the leading position of the same industry. In the R&D process, our scientists and engineers measured various color samples from dark to light, white to black, and other standard color boards provided by ISO (International Standardization Organization). The parameters of test results are integrating with international standards. We also analyzed the parameters from Japan, American and Germany spectrophotometers. The differences of L*ab absolute value between them are within ±1.5. 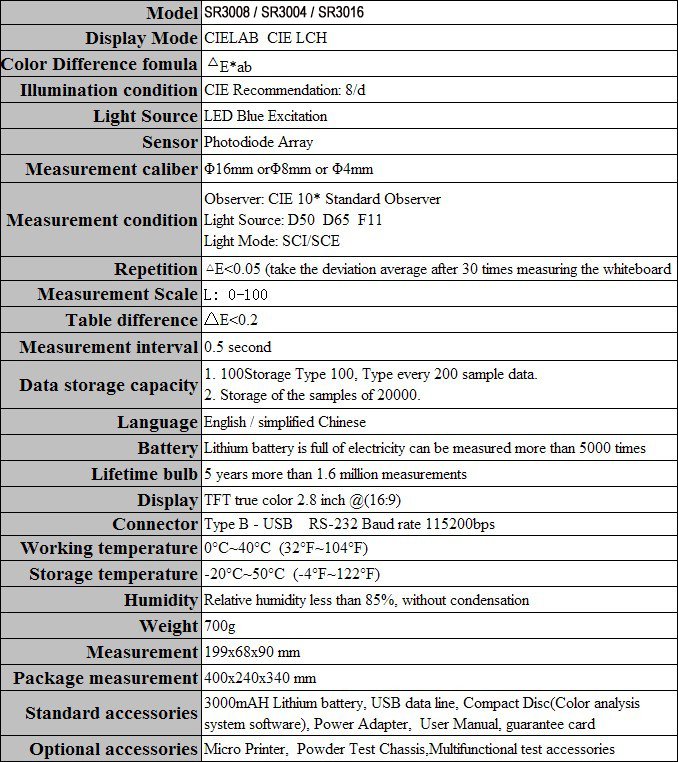 Compared the L*ab value between SR3481 and Japan spectrophotometer, when measuring any color objects, the biggest L*ab difference is within ±1.0. This is a breakthrough of 3nh high technology which realizes to be fully compatible with international market. 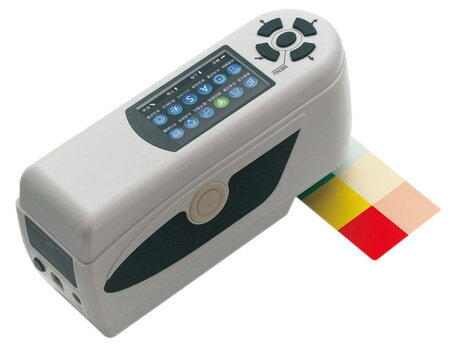 SR3481 spectrophotometer is widely used in plastic, electronic, painting, coating, ink, textile, garment, printing and dyeing, food, medical, cosmetic, industries, scientific research institutes, schools and laboratories. It can measure reflectance spectrum and other color index precisely. SR3481 spectrophotometer not only can help to perform color matching and color management studies, but also can control product quality management accurately. The instrument is equipped with high-end color management software which can connect PC to achieve more extension functions. d/8 (diffused illumination, 8-degree viewing angle Conforms to CIE No.15, GB/T 3978. Li-ion battery. 2800 times within 8 hours. based on the need of our customers. * Different measurement caliber for A and B. Testing ports for the two instruments are to the left. * Can measure both SCI and SCE at the same time. 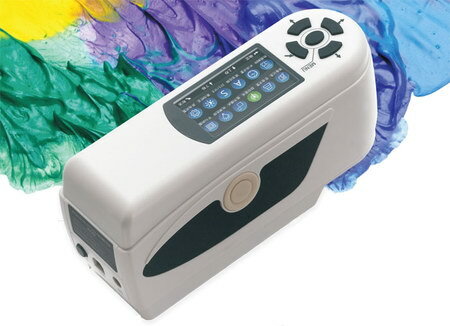 Spectrophotometer can be applicable in textile, printing and dyeing, clothing, footwear, leather, chemicals, plastics, film, pigments, paints, inks, metal, photography, toys, food medicine and other liquid, powder and special industry for color quality control, color analysis, sample testing, production line testing, also suitable for injection molding, ink, paint, spray and other color industries.